At approx. 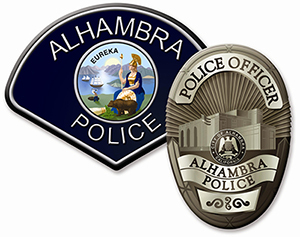 1:07 AM, on Thursday, Dec. 14th, the Alhambra Police Department received a call from a subject who reported that his wife fell from the top level of the public parking structure located at 26 N. First St., Alhambra, CA. Alhambra Police officers arrived and located a female adult on the ground, south of the parking structure. Despite live-saving efforts, the female was determined to be dead at the scene. The female was identified as a 29 year old female Alhambra resident. The self-identified husband, 55 year old Alhambra resident Russell Errett, cooperated with Alhambra Police detectives who questioned him about the incident. At approx. 6:15 AM, Russell Errett was arrested by Alhambra Police Department detectives for suspicion of murder in the death of the female. The female’s name is not available for release pending verification of her relationship to Errett. Alhambra Police Department detectives have secured a search warrant for Errett’s residence and are preparing to execute it at the time of this release. Anyone who witnessed this incident, or has any information related to this investigation, is asked to contact the Alhambra Police Department Detective Bureau at 626-570-5157. PDF of press release here.